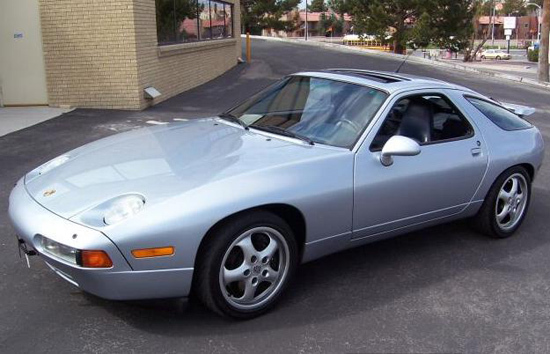 I've been researching and looking for a worthy stablemate for the 968cs for many many months now. I viewed and test drove many different cars, waiting to have that 'moment', that aligning of the planets where everything clicks and you just buy right there and then. Top of my criteria list was a drivers car through and through. Something bursting with involvement and feedback, a car that you really do engage with and have to properly drive. This rules out most new stuff for me and as a general rule I just don't get on with modern performance cars very well. I often find them too sanitised, too light in their control weights, too many driver aids and whilst the best of them do have a degree of feedback, they have become too mainstream and capable in overall feel and too easy to pilot. So we were always going to be back into 90's land, that distinct apogee in the evolution of the car when reliability and build quality had reached a more than acceptable level but construction was still quite basic and mechanical. Its the 90's era that tugs on my heartstrings as well and it is the cars that graced the covers and handling tests of 'Performance Car' which still really move me and get my pulse racing. 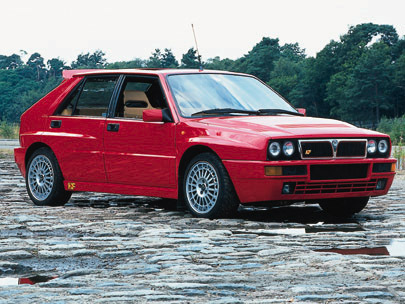 I was also looking for a car that was iconic, special and a bit of an event. One to cross of the list as it were. Some extra practicality would come in useful although I didn't want that to dictate too much. Also, spannering opportunities would be more than welcome so nothing too complex or nasty to work on. My journey began in familiar territory with a batch of lotuses. I drove the latest track focused Exige S, a good all rounder Elise S2 111s and then a couple of old esprits, a 4 pot S4S and a very rare Sport 300 which is a very special car that i've longed to own since its launch. 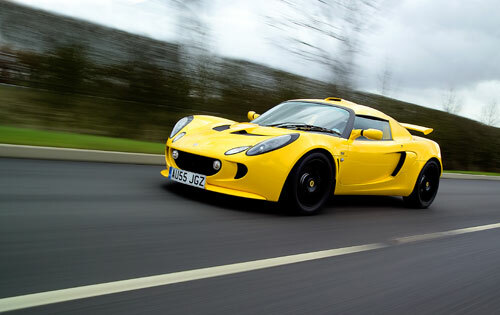 The MY2008 Exige S has come a long long way since the old S1. Its a heavier car now and you need more muscle to drive it. The engine note & cabin noise is pretty abysmal but one can't help marvel at the build quality now, the wonderful interior, that perfect 'racer-esque' driving position, the proximity and intimacy of all the controls and the fundamental rightness of the way it stops, goes and steers. Its possibly not the best road elise though and definitely more of a partial track toy which is not what i'm looking for. I'd take the S2 111s over it for an everyday or B road car. The 111s is lighter to control and just has a finesse and fluidity that the Exiges now lack. Its more in keeping with the original elise philosophy; the steering quality is just breathtaking - pretty much peerless - and the damping and suspension just exquisite. Ultimately though for me, the elises don't suit. They are toy like, a younger persons car and since owning them previously I have very much moved away from cars with uncharismatic mainstream engines. I have a soft spot for the older esprits and they make for good hobby cars as they're quite easy to work on and need a fair bit of ongoing TLC. The S4S is still in a way special to me. 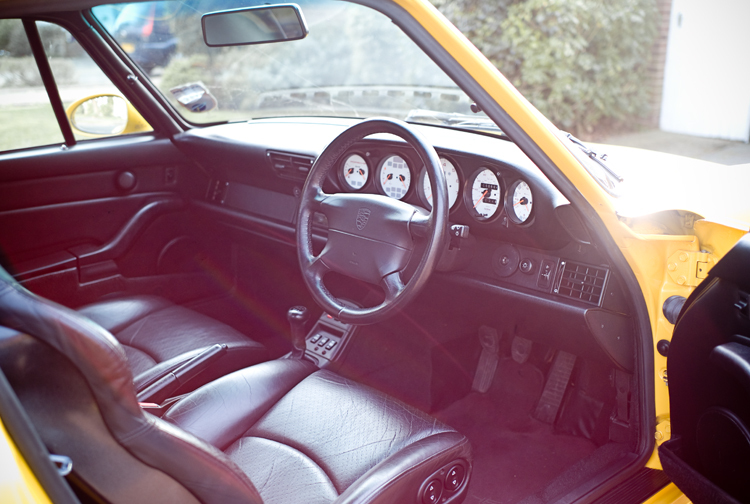 That cramped cabin, the huge flat windscreen and that high transmission tunnel; it's all nostalgic vintage supercar stuff and special because of it. Threading it down a few country lanes, perhaps never before has that old cliche "on rails" ever been more applicable. Yes, even today the esprit is still a masterclass in handling and feel but stand back and take a more complete view and you can't escape the fact that the esprit has dated poorly. The engine of course is very easy to dislike as it always was. She still feels fairly brisk at full bore but its a deeply unsatisfying way of accelerating, it sounds dreadful, it is turbocharged and has an awful flywheel effect. 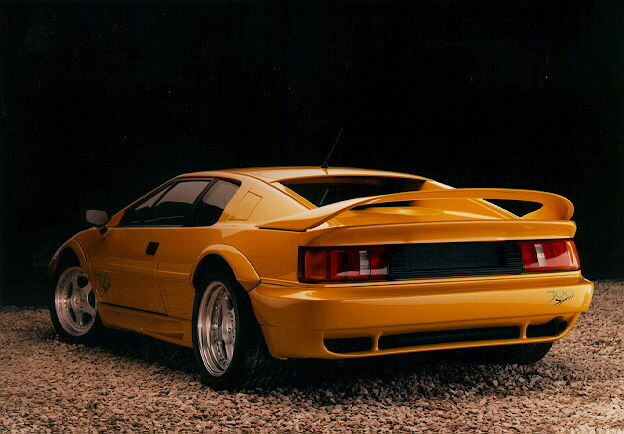 However much you adore the esprit legend, the iconoclastic wedge styling, that wonderful ride and handling, the car will always be seriously impaired and held back by the drivetrain. The yellow Sport 300 I went to see just didn't do it either. I had high hopes as I always thought I'd one day own one, but that brash stuck on supercar styling seemed even more dated than the Stevens S4S. Just 300bhp from a hugely unsatisfying and problematic 4 banger ( less than your average knackered out evo or scooby) no longer warrants outrageously 'supercar' looks and the list of bills for the low mileage example I viewed was pretty startling stuff. The poor engineering of the esprit and stunted lifespan of many of its components bothers me and so did the price of this particular car. It's quite amazing that back in 1993, as part of their yearly 'best driver's car' feature, Autocar posted a 1min 33s lap time. Ten years later or so a Focus RS, a humble hot hatch with a mere 210bhp and wearing quite possibly half the amount of rubber, went a second quicker. If you ever want a Sport300, take my advice and stay clear of cars that are fresh to the market and still perhaps in the optimistic 'testing the market' phase. I have watched the prices for 8 or 9 years now and all the evidence suggests that when all is said and done, people pay a little bit more than S4S money for them and bottom line is, what the people pay is what the car is worth. 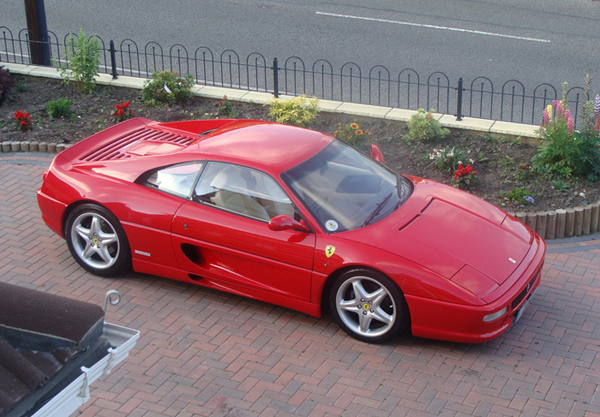 Although they only made 64 of them and they are deemed emotionally special by a very small group of Lotus junkies, they just do not make Ferrari 355/993 Turbo money (two cars which came just a few years later but really were the real deal with stunning drivetrains, handling and incredible looks that still work today). No, for me, old esprits have not lasted the test of time and are for memories and not for owning. I do admit though that it required me to own the 968cs to realise this ! Form here I went onto Integrales. I tested a few and they were impressive especially that wonderful steering. In monza red they still to this day look sensational to my eyes and the constant spannering they require would also appeal. I could come back to one at some point but for the moment lets just say that I missed a mint example that I could have bought and then the market dried up. Its a car that's difficult to go hunting for unless you are prepared to possibly wait years for one. What about the 928 GTS. I saw an incredible metallic grey one, seriously one of the finest looking cars I have ever seen in the flesh. 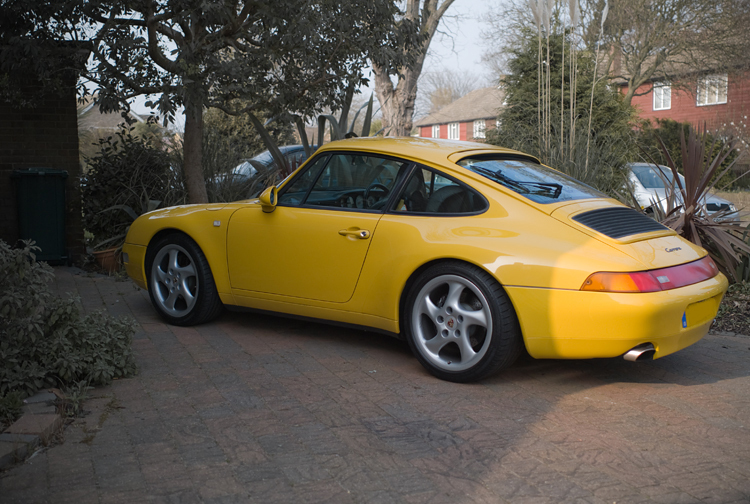 I so wanted to buy it and that glorious V8 really is something special but it felt heavy, ponderous and just not different enough from my 968cs although nowhere near as special or as interesting handling wise. I still would like one one day though. I gather you can convert to a manual box for around 2k and some decent sports suspension improves them markedly. Now we get to the 355. Still fresh and beautifully balanced to look at to this day and still one of the best engine notes out there. I really liked the examples I drove. What first surprised me was how 'kit-car' esque they felt. I mean this in a good way of course. I expected them to feel a bit like a BMW for some reason but instead they look and feel pretty special and bespoke and nothing like a real mass produced car. There are lots of sensations coming up through your bum, good damping, fantastic weighting to the steering (although sadly not much feel) and quite a kart like 'homegrown' feel. And when you give that 40 valve V8 full beans right the way to the red, its just an awesome experience and almost by itself justifies the price of admission. I researched the common 355 niggles and had no issues there but useability put me off a bit and again its a car I will probably come back to at some point but somehow it didn't feel right for now. 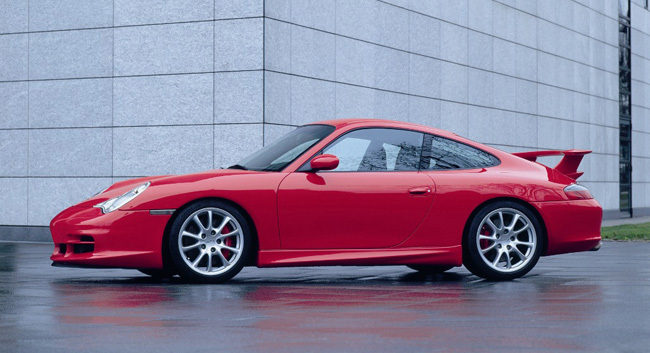 The other deeply impressive car that I tried was a 996 GT3. Now i'm not a fan of the 996 or 997 (I really did not like 997 to drive, and the Cayman and Boxster aren't really my cup of tea either) but from the word go I felt really at home in the GT3. Great engine, a lovely tied down solid feel, lots going on, plenty of feedback and not nearly as 'compromised' for the road as people make out. Controls a bit too light but all in all another car I'd like to own but at this late stage in my searching not only did a part of me decide that i'd feel more comfortable with a slightly lower budget but I also could not bring msyelf to buy a 911 with only 2 seats and miss out on that extra bit of useful practicality. Unless you use it on track a fair bit you're really missing the point as well I feel and I plan to track the 968 already. At the closing stages I looked at Nobles. They look great and I've always liked the little supercar cockpit. I test drove a gorgeous black M12 which had a few mods and was monstrously fast. It was well mannered, a great road car and my only gripe would be the steering which is definitely too light and assisted. The acceleration really was memorable. Third gear was epic. Such is the pace of the drama free effortless Noble grunt, that it made an Exige S (a very accelerative car by anyone's standards) that I drove on the same day feel hopelessley pedestrian and humdrum. 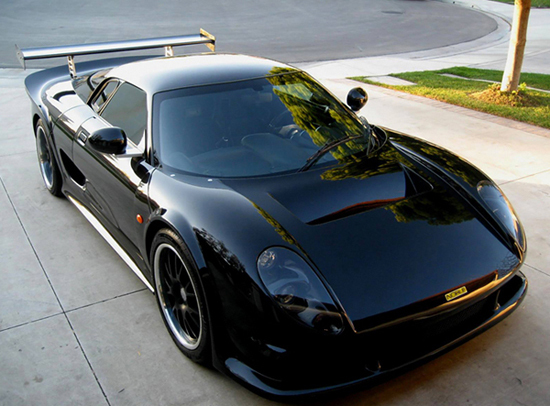 I drove an M400 as well which had a much better gearchange, better steering and was even faster still, just bonkers fast. In fact it was so fast that it ripped through the 6 speed box almost too quickly so you weren't able to hang on to any gears and savour the acceleration at all. I also felt that the suspension on the M12 was better for road use. I was quite set on an M12. 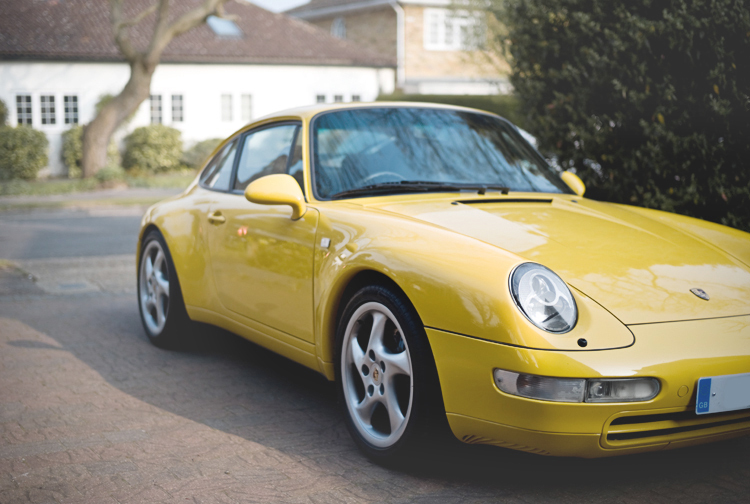 I did all my research into reliability and common issues and the lure of a few credit crunch Noble bargains in the classifieds was hugely tempting but just when I thought I'd formed my final plan, I went on the off chance to see a couple of speed yellow 993's that by chance caught my eye one evening in the classifieds. 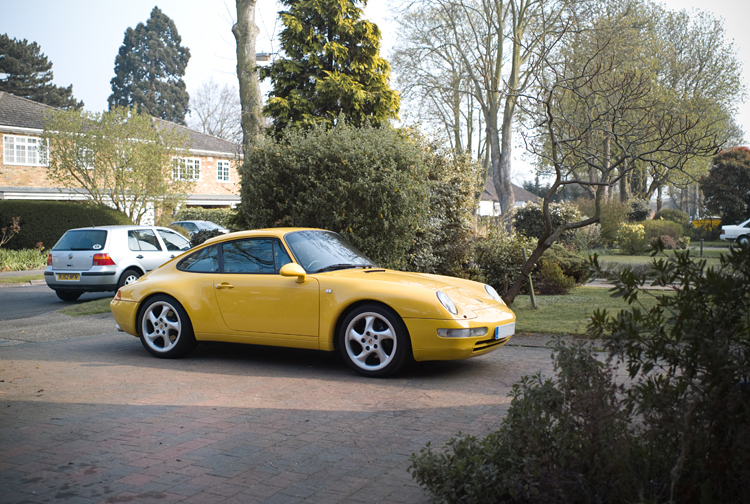 Now I had driven a few 993's previously but being honest none of them had driven very well and hadn't really left me eager for more. 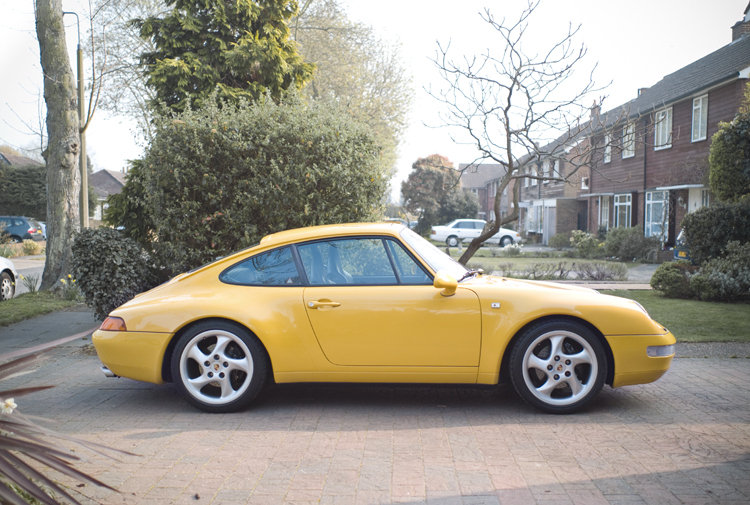 I had tried a drop dead gorgeous 993TT but I think the front wishbone bushes must have been shot because the car was floating all over the place and it was a test drive that pretty much convinced me to turn my back on the 993 for good and look elsewhere. But then a nagging part of me was telling me that they couldn't be all that bad especially given the amount of happy owners and praise heaped on the car over the years. 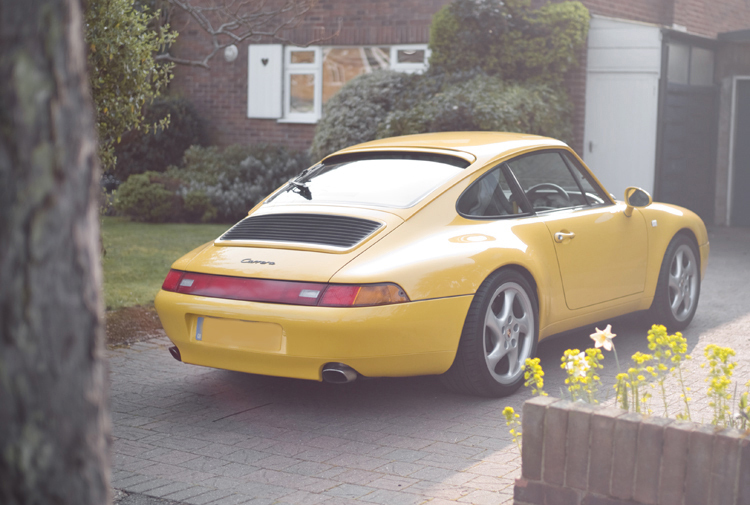 Also on paper the extra seats in the back really would come in handy what with the 968cs only seating two adults, and it was a way to break my 911 duck without risking too much money. Also sense told me that the cheaper Carrera 2 would be the more nimble and involving car over the drop dead gorgeous Turbo. Anyway, when I saw these two 993's something clicked. I don't think i'd ever seen them before in speed yellow but in that bold colour they just looked amazing to my eyes. Also they both drove very well, much tighter and more resolved than other cars that i'd tried. They felt more modern, they felt hooked up and hugely appealing. Not the big pace and advanced modern nature of the GT3 but more character, more nostalgia, better controls and much much more loveable. Suddenly it all made sense and I realised that I just had to itch the 911 scratch that had been lurking there for so many years. 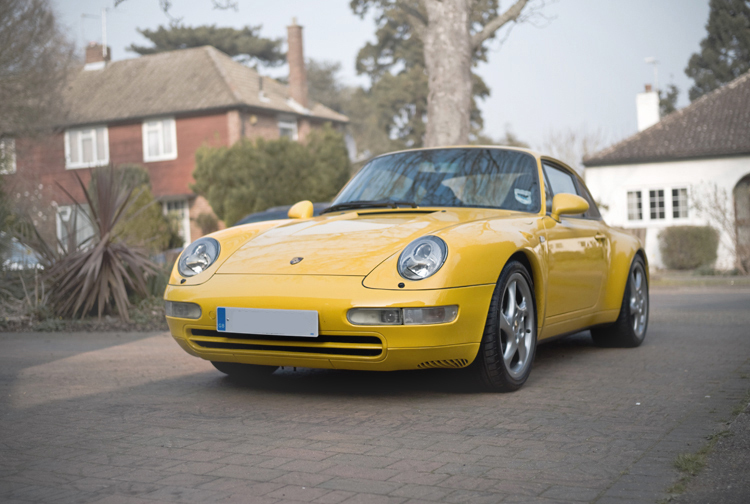 You almost need a bit of serendipity when buying cars. Looking back I could have bought any number of models that I tested but for whatever reason, the conditions weren't right at those particular moments. What I also discovered in no uncertain terms is that you can drive the same car on 2 different days and one day you love it and the next day it does nothing for you. Your mood, the car you arrived in, the test route, the salesman and your relationship with him... so many factors can dictate and shape your experience. So we are back to old Porsches again. Somehow they transcend time. A few hours underneath exploring how they are made is all you need to know. They were so well engineered at birth that they are as relevant and useable 15 years later. How rare is that ? Cars that you can genuinely say that about you can pretty much name on one hand. Like the lotuses, nobles and kit cars of this world they have feel, feedback, incredible brakes and bags of adjustability but they also have drivetrains that are up there with the best. They have a solid mechanical nature, an almost agricultural physical presence that you really do feel engaged with. Its an engagement that requires a real measure of effort and strength that you register as significant physical movement; you are doing the work, it is directly the pressure of your foot, the movement of your arm, the nerve endings in your backside that controls the car. It's this 'hewn from granite' interface, this crude and uncluttered mechanical-human linkage, this sense of timeless longevity that makes these cars so damm infectious. Their astonishing solidity and quality of construction makes them so viable to own and for all sorts of unexplainable reasons they are also very very easy to love and cherish. 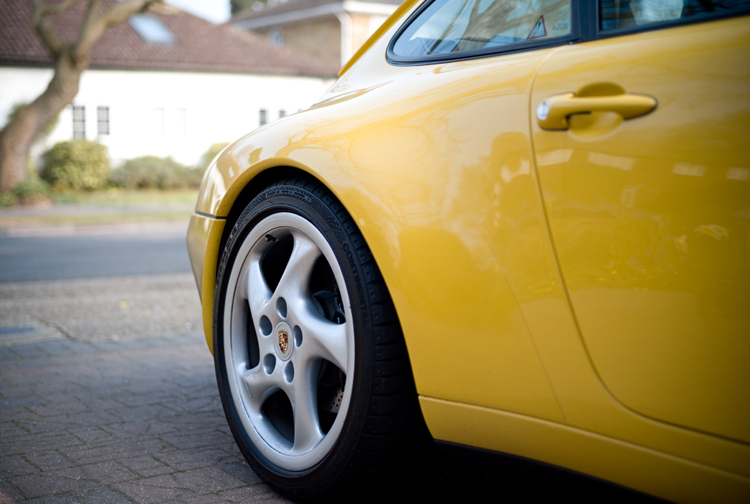 The 968cs has got under my skin so much in the last 8 months and I will be quite surprised if the 993 doesn't go exactly the same way.